It is believed that The Travel Agency hailed from San Francisco and were originally called Act III releasing a 45 'Made For You'/'M.F.Y' on Kookaburra Records in 1966. 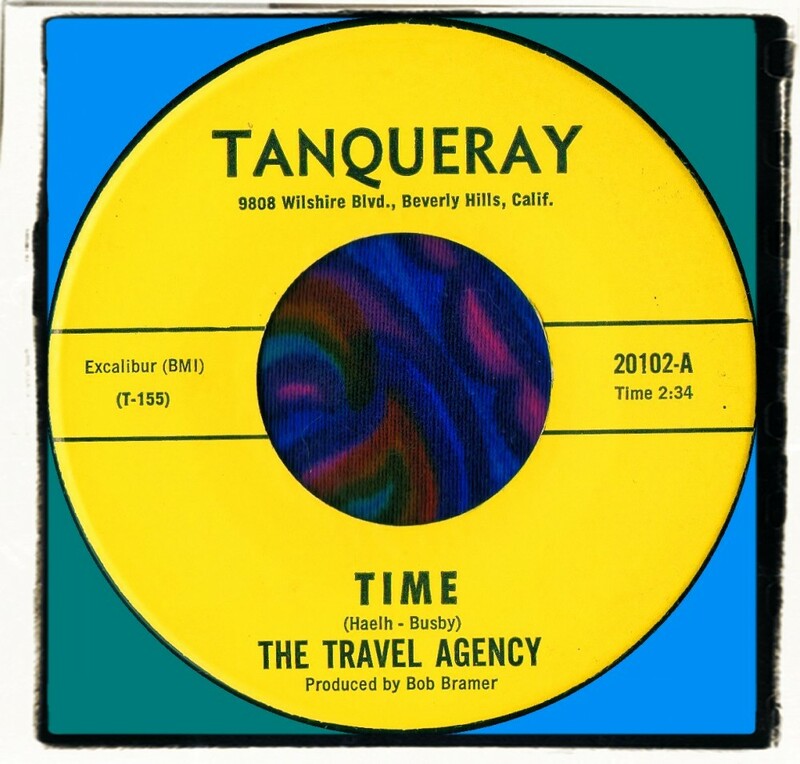 According to FA&F, the group then re-located to Los Angeles and changed their name to The Travel Agency. 'Time' is an impressive psychedelic rocker which recalls The Byrds circa their 'Younger Than Yesterday' period. Added into this potent mix is some magical raga guitar and vocal harmonies. 'Made For You' is much more poppy but still a charmer and a good example of the '66 L.A. pop sound. The Travel Agency appear to have been successful in so far as a further 45 and album were released on Viva Records a few years later. Frank Lupica later made the Cosmic Beam Experience album.